A demand-side platform concept originated in Europe is a software used to purchase advertising in an automated fashion. DSPs are mostly used by the advertisers and agencies which enables them to buy display, video, mobile and search ads. Demand-side platforms facilitate buyers with direct Real-Time Bidding access across multiple sources of inventory.DSPs are directed at advertisers. It enables the buyers to get access to more publishers and then choose the best as per their requirement. Earlier the common practice in advertising involved digital ads being bought and sold by human ad buyers and salespeople, which were costly and unreliable. DSPs made the process cheaper and more efficient by making it automated and reduced the needs of human intervention. Even there wasn’t need for negotiation of ad rates as the process became automated. DSPs enables advertisers to purchase impressions across a range of publisher sites but targeted to specific users based on information such as their location and their previous browsing behavior. Now, there has to be a medium through which Ad Impressions from publishers could be made available to the buyers. Here comes the role of Ad Exchange. 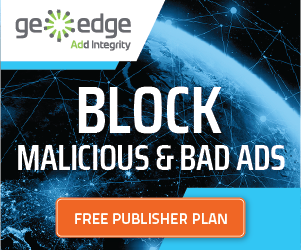 Publishers make their ad impressions available through marketplaces called ad exchanges and then DSPs automatically decides which of those impressions would be best suited for the advertiser to buy. The price of each impression gets decided through real-time auction, a process is also known as real-time bidding. This means there’s no need for the salesperson to manually negotiate prices with buyers because the impressions get simply auctioned off to the highest bidder. A supply-side platform is the publisher’s equivalent of a DSP. Where DSPs are used by marketers to buy ad impressions from exchanges as cheaply and as efficiently as possible, SSPs are designed for publishers to do the opposite: to maximize the prices their impressions sell at. Similar technology powers both SSPs and DSPs. SSP (Supply Side Platform) is a provider platform for web media. SSP platform to help online media hosting their advertising and advertising transactions, docking with the online trading platform, so that their cash flow. Through the SSP platform, online media advertising space can get the highest effective display costs, but also will not have the problem of an empty field, do not have to use the past to calculate the price in time or volume. Such as Google Network, can help the media to maximize the effectiveness of their advertising layout. An ad exchange is a big pool of ad impressions. Publishers put their Ad impressions into the pool hoping someone will buy them. Buyers then pick which impressions they wish to purchase using technologies like demand-side platforms. Those decisions are often made in real time based on information such as the previous behavior of the user an ad is being served to, time of day, device type, ad position and more. Ad exchanges is a digital marketplace that enables advertisers and publishers to buy and sell advertising space, often through real-time auctions. They’re most often used to sell display, video and mobile ad inventory. Few major Ad Exchanges includes Right Media which is owned by Yahoo and DoubleClick Ad Exchange which is owned by DoubleClick. If ad networks, ad exchanges and DSPs are all different, would you please describe what each is in “for dummies” terms? …and DoubleClick Ad Exchange, which is owned by Google. what is header bidding? How exactly it will perform? The demand source competition always takes place before the ad server has received the request or seen the impression. This allows the publisher to preset the bid, leading to higher earnings. Integration can be done with ad exchanges, SSP, or programmatic networks. The idea is based on the concept of supply and demand. When demand increases the price goes up, leading to higher earnings. When building an dsp, do u also need to build a ssp as well? Same question for ad exchange. Many thanks!!! Are there ready DSP solutions? What kind of solutions are you looking for, let us know your request. What are the best SSP’s to use for wordpress ? What is the difference between RTB and header bidding? ” SSPs are designed by publishers ” .. What design it is? Is that an software? Yes it’s an online tool or application. In my country, there is no programmatic buying system but there are a lot of web portals which sells their space directly. How to bring all of them to this system? It would be a great business deal. Go for it. It is glad to see your article to know the advertising environment. Do you have any topic to introduce what difference about SSP, Affiliate network and media buy? How to judge the traffic which is from SSP/Affiliate network/media buy? and how to control these networks? Sincerely wish you can have this article to help us know the advertising deeply. Sure will update an article on the topic asked.